Someone's trash is another one's treasure - Carole & Co. 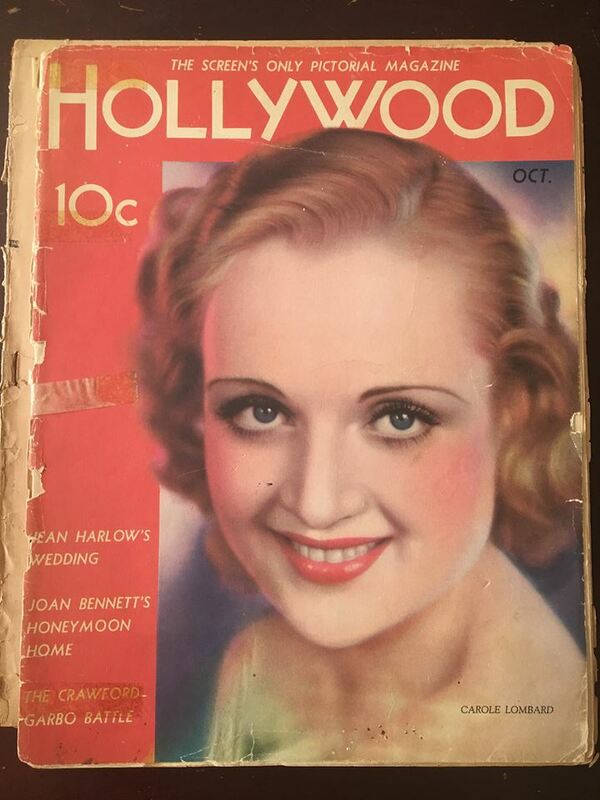 Stunning Carole Lombard cover, doncha think? 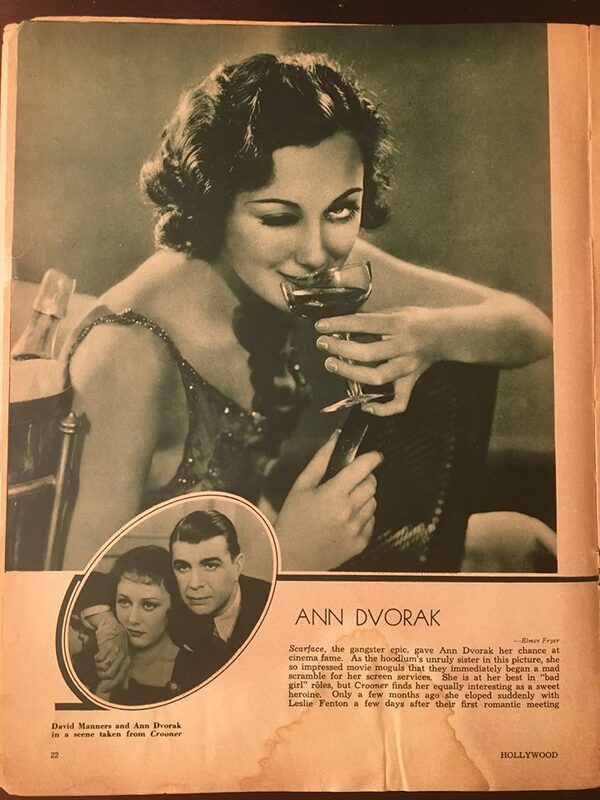 It's from the October 1932 issue of Hollywood magazine. 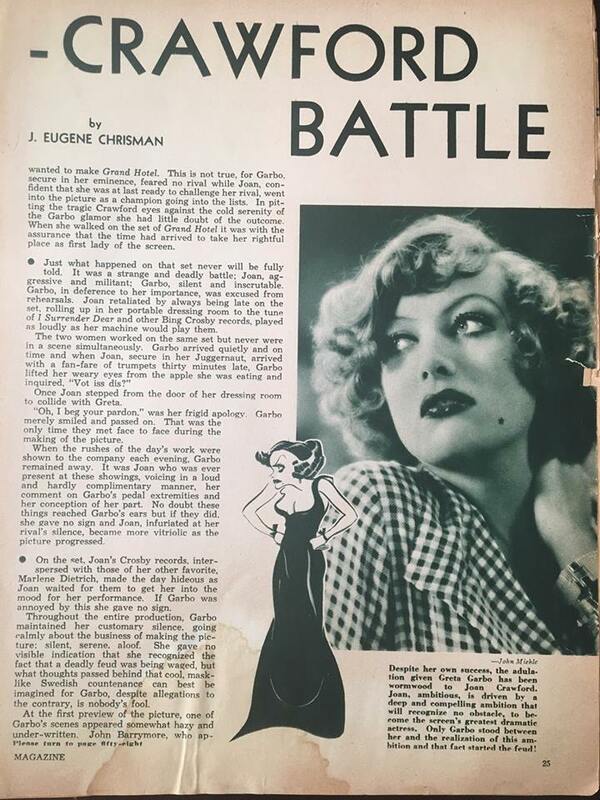 Well, a few months ago someone found this and other vintage fan mags "in a pile on the sidewalk." So what did she do while on her way to dinner? What you or I as classic Hollywood fans would do -- "I grabbed them all!" But you know something? That's okay. 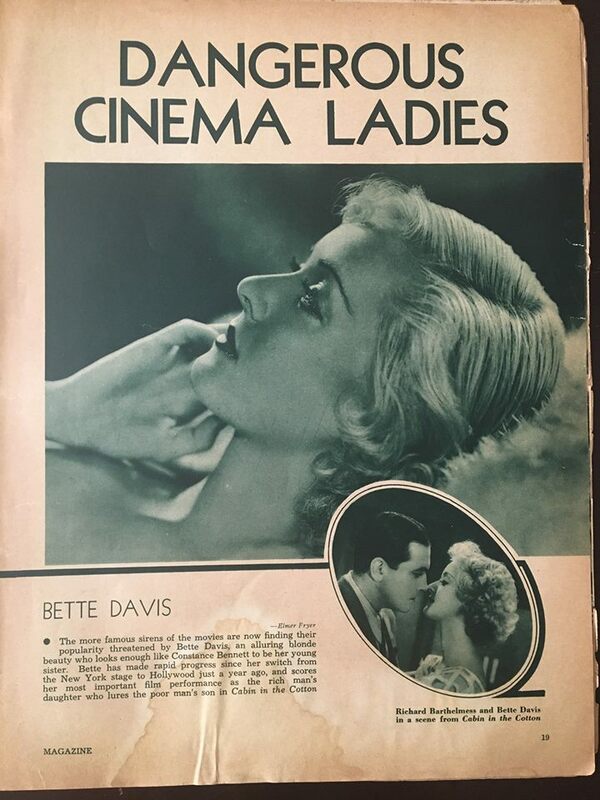 While the Media History Digital Library has a decade of Hollywood online, its collection only covers 1934 to 1943. 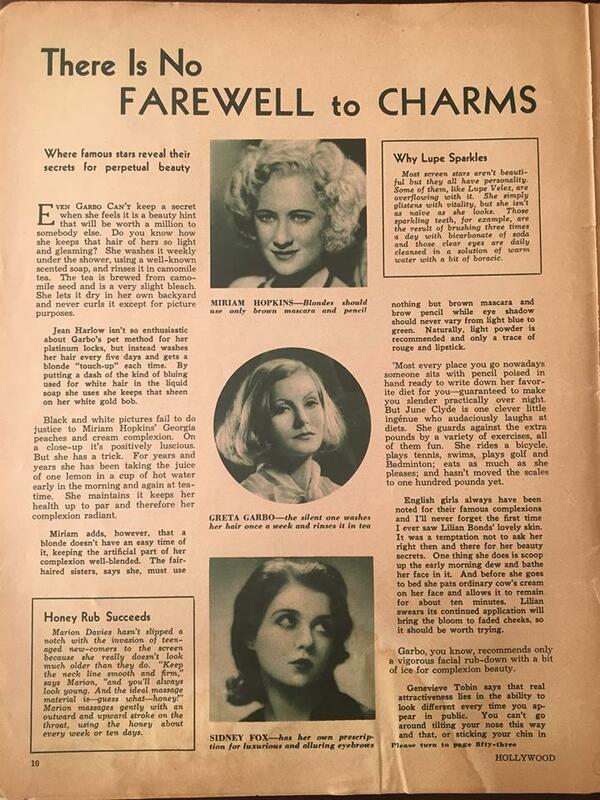 And while Emily has shown no other Lombard material from this issue, it's nonetheless an intriguing snapshot of the movie industry as it tried (and not very well) to cope with the Depression. 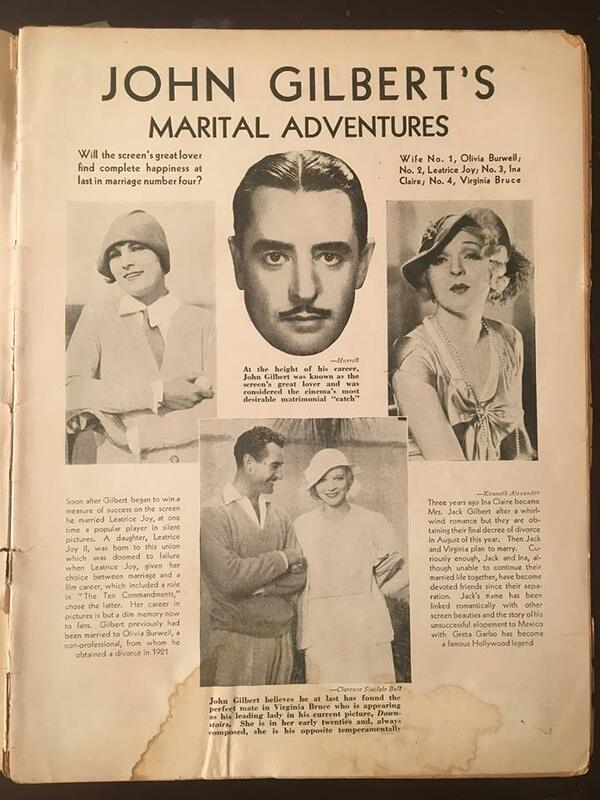 Like Gilbert, Clara Bow was a holdover from the silent era who still had numerous fans, although Bow's recent scandals chipped away at her image. 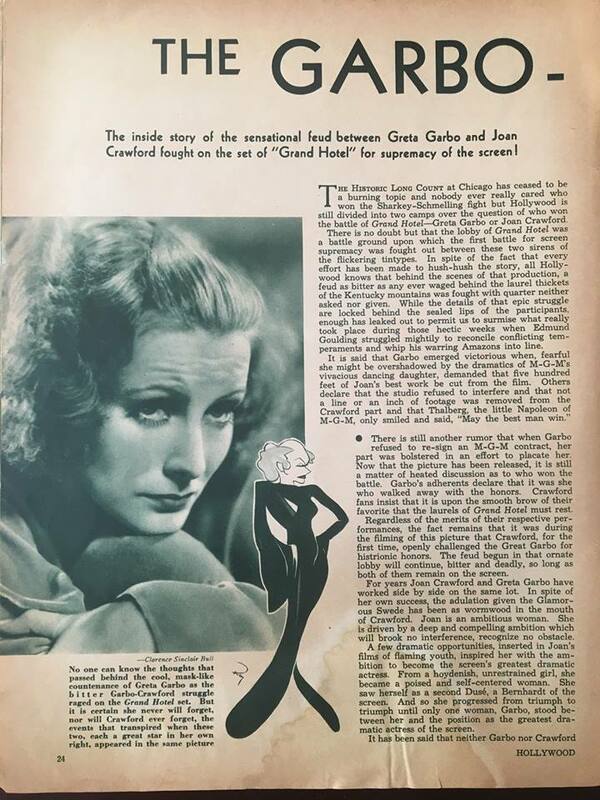 With Greta Garbo and Joan Crawford, MGM arguably had filmdom's top two female stars, and putting them both in "Grand Hotel" (even though their scenes were separate) provided plenty of fan debate. 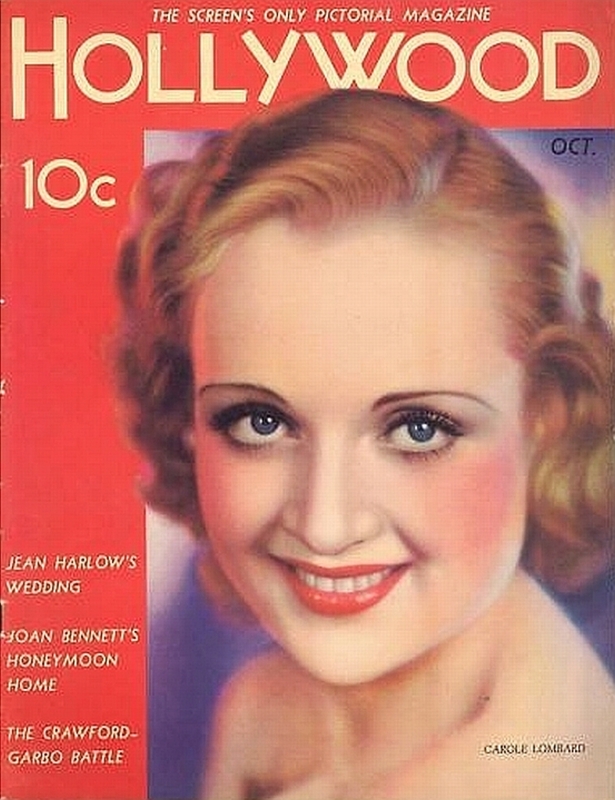 The cover promised a piece on Jean Harlow's marriage to Paul Bern, though it probably went to press just before Bern's mysterious and controversial death in early September. 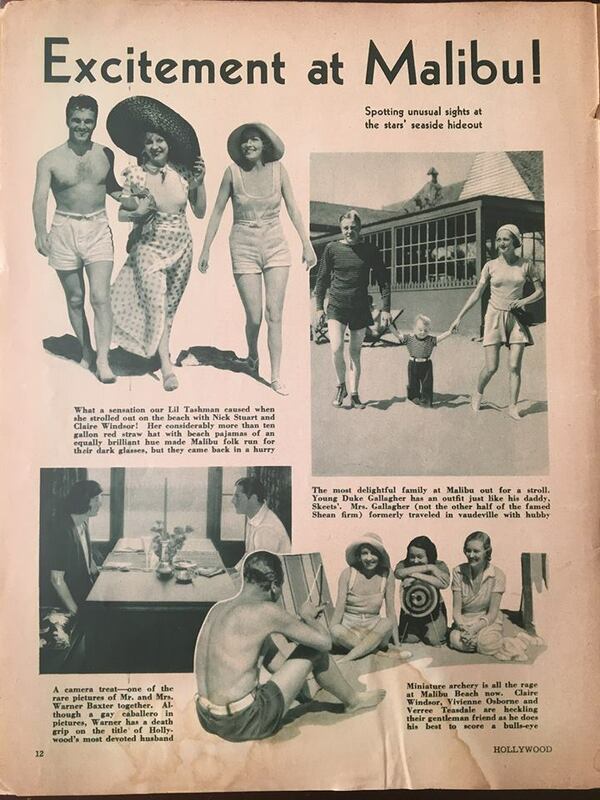 Romund promises more fan mag stuff in upcoming weeks, including more Lombard-related items. We can hardly wait.